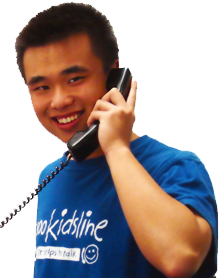 Kidsline – a telephone counselling service for children up to 18 year-olds is expanding its presence into Canterbury and Careerforce is helping its high school student counsellors make more of the opportunity. The globally unique service is run for children by children. Every counsellor, or buddy in Kidsline speak, in the not-for-profit wing of Lifeline Aotearoa, is a secondary school student. Careerforce, the Industry Training Organisation for the health and wellbeing sectors has stepped in and offered additional training opportunities for the year 12 and 13 students. This training will gain them NZQA credits. Careerforce chief executive Ray Lind says the ITO has been working with the Kidsline to align their existing training programme with the unit standards from the New Zealand Certificate in Youth Work (Level 3). The timing of the call centre launch in Christchurch comes amidst much discussion around the lack of funding for mental health services in Christchurch post-quake, especially for youth. “We see Kidsline as a vital part of an established network that can offer a listening ear, comfort and support to children who want someone to talk to. As an organisation that is working to achieve positive outcomes for increased health and wellbeing across the country, Careerforce embraces the opportunity to support these young people into training that will enable them to deliver buddy services with increased confidence and skill, and gain credits while doing it. There are positive outcomes for everyone.” Ray adds. Kidsline hopes to have 70 Christchurch students trained and offering this valuable resource to the community within 12 months.